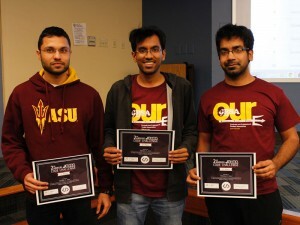 ASU computer science students showed off their skills to win prizes and networked with potential employers at the Software Development Association (SoDA) Code Competition on Feb. 27. In SoDA’s second annual competition, 157 students forming 86 teams of up to three people participated in the event. “The competition consists of a three-hour long ‘sprint’ where teams answer as many algorithmic programming challenges they can,” says JJ Robertson, SoDA president and computer science student. The competition included 14 challenges such as writing a program to see if a given paragraph is a pangram (contains every letter of the alphabet), or writing a program that converts a time from numerals to a written statement (“5:47” to “thirteen minutes to six,” for example). 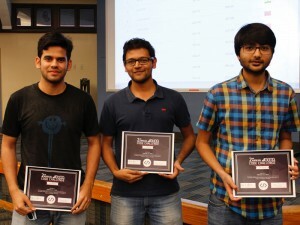 Graduate students Anupam Panwar, Chinmay Gore and Shubham Agarwal won first place and each received an Amazon Echo for at least partially solving 10 of the 14 challenges during the three-hour competition. Second place and an Amazon Fire TV stick each went to graduate students Kranthi Davuluri, Mohan Maddula and Abhinav Kilaru, who had partial solutions for eight challenges, tying with the third place team of graduate students Yogesh Pandey, Bharat Singh and Mukund Manikarnike ­— who won Raspberry Pi boards. The tie was broken by the second place team’s solutions passing more test cases showing their programs worked properly. SoDA and sponsor State Farm raffled off other prizes including a tablet, Raspberry Pi, and two quadcopters. Undergraduate and graduate students didn’t just get to flex their programming muscles and win prizes – representatives from Workiva, State Farm, Connexta, Google and Microsoft mingled with the participants and discussed opportunities at their companies. Participation more than doubled from the 2015 competition’s 60 participants after SoDA officers applied what they learned from last year’s event and upped the ante with bigger prizes. Robertson says the association officers’ hard work paid off, especially the efforts of competition director and computer science student Thomas Forrest. Next year Robertson says they plan to add prizes for best undergraduate as well as best graduate teams to help even the playing field. 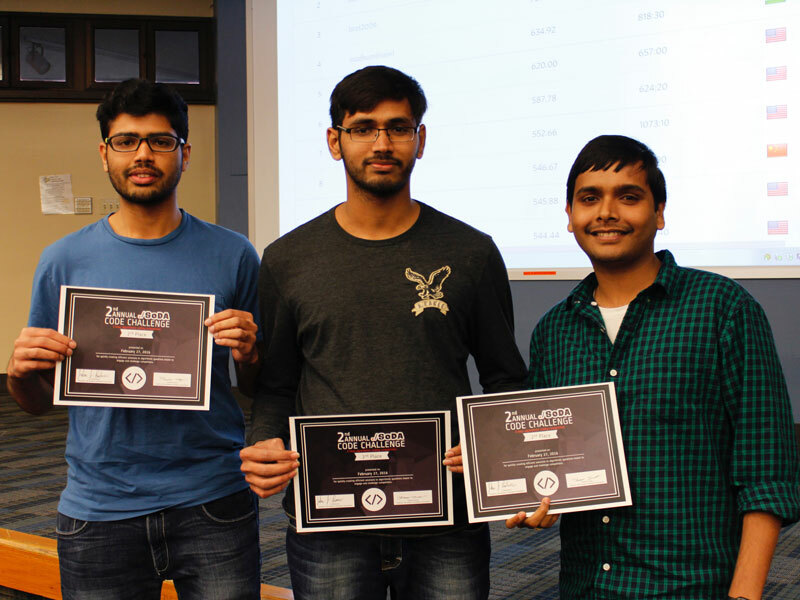 The SoDA Code Challenge is the largest competition SoDA puts on each year, but they also host and compete in smaller events throughout the year, including an American Express competition earlier this semester and an upcoming Zappos competition in April. 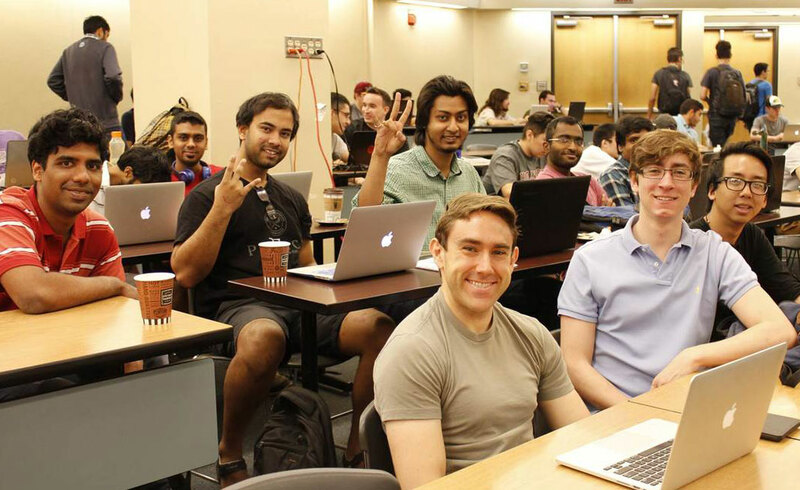 They also travel to events; earlier this year 113 students traveled down to the Hack Arizona 2016 hackathon at the University of Arizona for a 36-hour-long project-building session where students take ideas from the initial planning stage to execution. 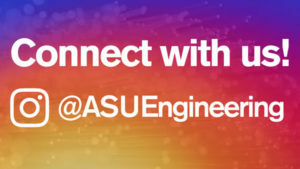 Along with hosting competitions, SoDA positions itself as a group to help students get access to internship and job interviews and preparation, gain experience, work on projects to showcase and develop skills, and to meet a community of passionate and dedicated student developers. SoDA faculty advisor and Assistant Professor Adam Doupé is very proud of the work Robertson, Forrest, and the other officers are doing with the association. 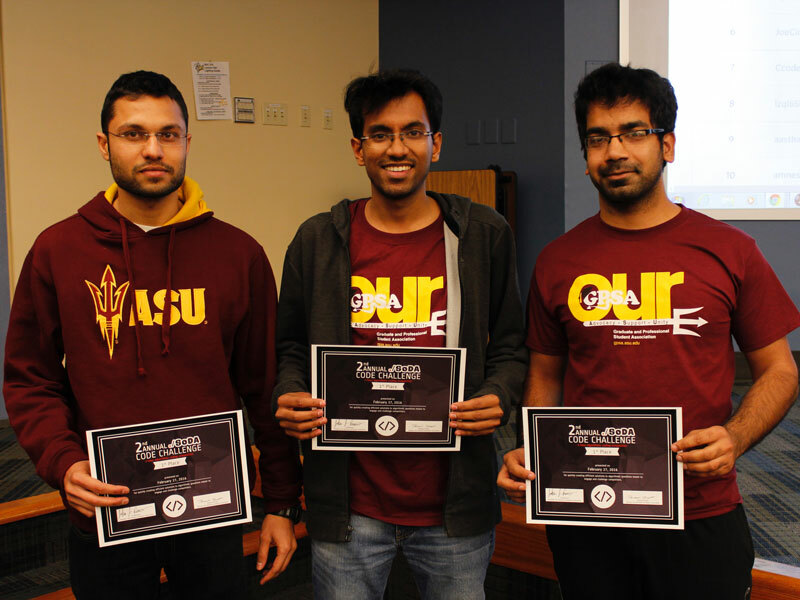 Doupé says they plan, organize and execute events all on their own and also do great work for ASU’s aspiring software developers. Membership is open free of charge to anyone who’d like to join the organization, which has been around since 2009. SoDA holds meetings on Tuesdays and Thursdays from 6:30 p.m. to 8:30 p.m. at Brickyard Artisan Court where students can work on projects they can use to demonstrate their skills to potential employers. Meetings can also include industry guest speakers, technical tutorial workshops and research and technical presentations from its sponsors, faculty and members. Members can choose meetings with topics of interest to them. As part of the Fulton Schools’ Dean’s Funding program SoDA also does outreach with FIRST LEGO League events, homecoming and freshman welcome events, high school engineering outreach events and more. Last day to apply for the 2019 Regents’ Cup!